The truth about national and regional 2018 Italian elections is that the main source of conflict is not the inner conflict of the political establishment for the partition of voter, but the external conflict between the whole political establishment and the majority of voters who, ultimately, delegitimise it by refusing to vote. Indeed, this means that whoever wins the battle of politicians and parties cannot have actual democratic legitimacy, because they only represent a small fraction of the citizens. This Government, therefore, would and will only be the dictatorship of a political minority over the majority of the people. Thus an evident subversion of democracy. This is why Italian politicians and their mass media are trying to attract more voters by hypocritically repeating that “voting is a right and duty of each citizen”. But the democratic right and duty to chose one’s representatives is not only exercised by voting from a pre-made list of candidates. It can be also exercised rejecting the whole list, if there are reasons to do that, by refusing to vote. In this case the reasons are evident and dramatic: the political establishment running in the 2018 Italian election is the same that so far has ruined Italy, its citizens, and its enterprises with an abnormal combination of ineptitudes, greed, hypocrisies, rhetorics, and corruptions, as well as perpetuating itself with increasingly scandalous electoral laws. The irresponsible behaviours of this political establishment have also transformed Italy in the most dangerous hotbed of social and economic destabilization in the whole Euro-Atlantic strategic area, especially when it comes to the Mediterranean sector. This means the true problem of the 2018 Italian election is wether legitimating the current Italian establishment by voting for it interrupts or worsens the domestic and international disaster of that Country. To this point, it is not even about distinguishing the Italian political parties that, so far, acted as Government or as Opposition, because they are all actively or passively co-responsible of the same disaster, nor it is about choosing based on their electoral promises. In facts, the Italian disaster has become structural, and it can only be remediated by drastic measures, like tax cuts on the Trump administration’s model. But it is necessary adopting them before the Italian economic-social body becomes too weak to survive the cure. 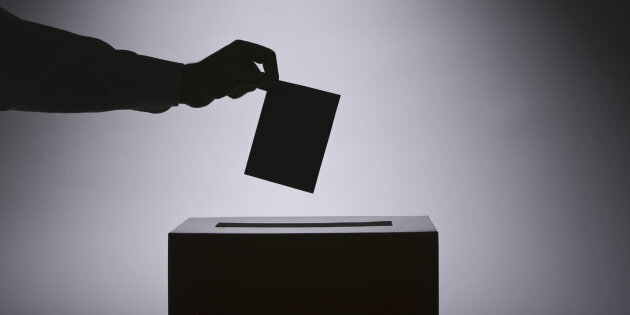 This means, for this purpose, the only reasonable way for Italian voters to use the democratic tool of voting is to completely deny it to this establishment, delegitimising it, forcing the future Government to keep into account, one day after another, and for every single decision, of the concrete dissent of the majority of the citizens. This is the only possible legitimate civil and peaceful revolution possible and, if conduced firmly and with intelligence also after the elections, it can prove a decisive contribution to the reduction of risks the remediation of damages caused by the present Italian disaster, which is unbearable for both Italian citizens and enterprises, and for the Euro-Atlantic strategic balances. If this is true for Italy, in Trieste the protest of non-voting has its own equally valid reasons. The extension of Italian elections in the present-day Free Territory of Trieste entrusted to the Italian Government’s temporary civil administration by the Governments of the United Kingdom and of the United States on behalf of the United Nations (LINK) is illegitimate and useless. It is illegitimate, because just like the extension of Italian taxes to Trieste (LINK), it constitutes a simultaneous violation of international law, of the fundamental legal principle no taxation without representation, and of the very Italian Constitutional legal order. And it is useless, because enforcing the economic and fiscal rights of State of the Free Territory of Trieste, of its international Free Port, and of the deriving rights of all other States is an international, consolidated legal obligation that does not depend on the decisions of voted bodies of the Italian Republic.